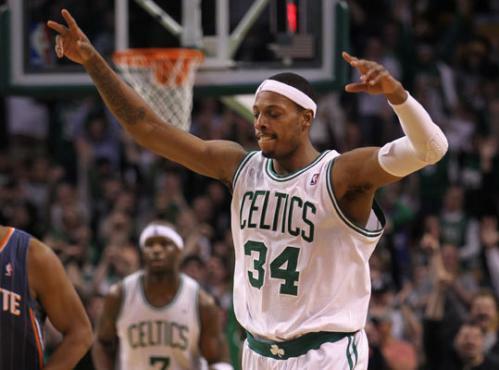 Paul Pierce hit a 3-point shot with 10:23 left in the third quarter against the Charlotte Bobcats at the Garden Tuesday night that pushed him one point past Celtics legend Larry Bird on Boston's all-time scoring list with 21,792 points. Only John Havlicek, who scored 26,395 points in 16 seasons, has more points than PIerce over the course of his career in Boston. Here's a review of Pierce's Celtics career, starting when he was drafted out of Kansas with the 10th pick in the 1998 draft.